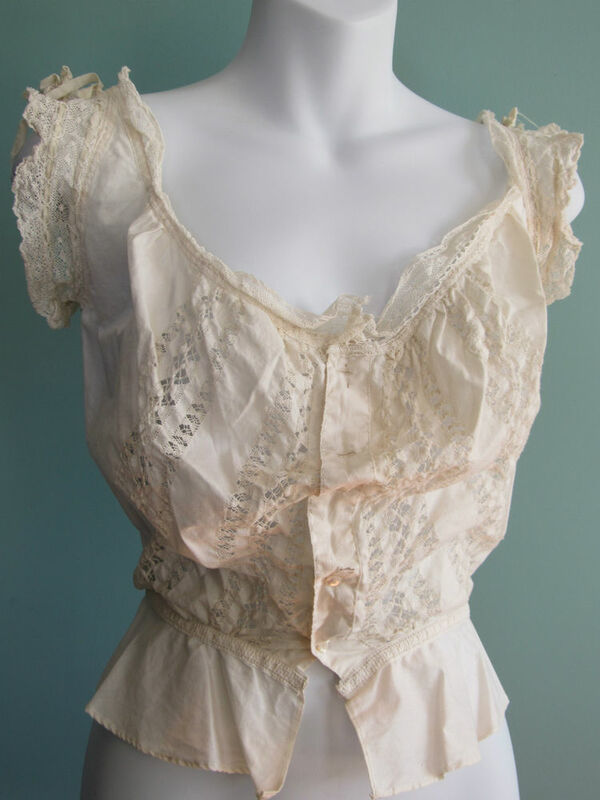 Ever confused by these four terms for nineteenth century undergarments: crinoline, chemise, camisole and corset? What are they and how do they relate to each other? Let's find out. Crinoline: From Wikipedia - "A crinoline is a stiffened or structured petticoat designed to hold out a woman's skirt, popular at various times since the mid-19th century. Originally, crinoline described a stiff fabric made of horsehair ("crin") and cotton or linen which was used to make underskirts and as a dress lining." Chemise: From Wikipedia - "Historically a chemise was a simple garment worn next to the skin to protect clothing from sweat and body oils, the precursor to the modern shirts commonly worn in Western nations." It was commonly knee length. Camisole: A waist length foundation garment worn under the corset to protect against sweat and body oils. 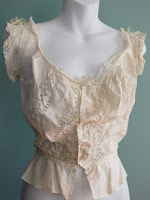 The camisole appeared in the late nineteenth and early twentieth century as a way to replace the heavier, longer and bulkier chemise. It was commonly made of silk, cotton or linen. Corset: The corset was used by women to cinch in the waist and support the bust. 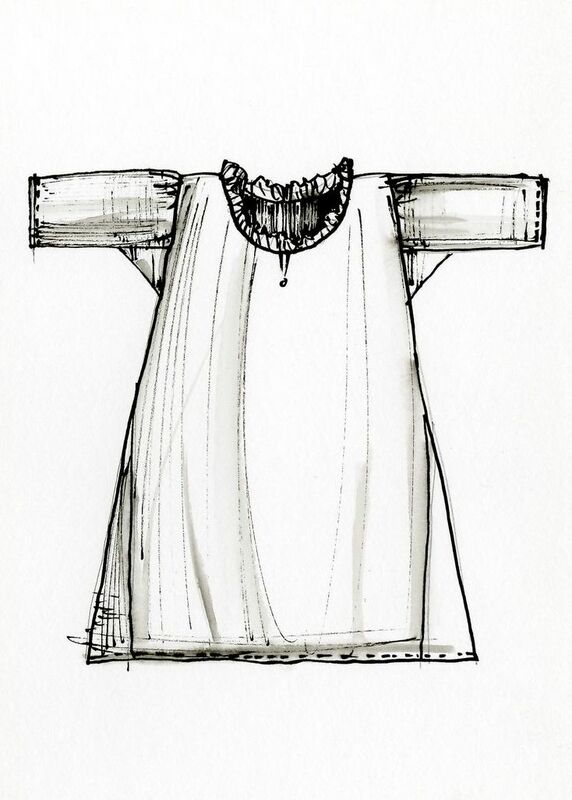 It was worn under a dress and usually had stays made of bone, steel or other rigid supports. It was aimed at minimizing the waist, not the hips. 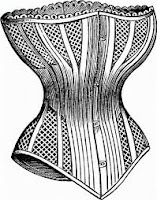 Corsets were in use in various forms from the time of Marie Antoinette until the early twentieth century when women rejected them in favor of comfort and the relaxed fashions of the day. (See also the post on this blog dated 9/15/17). So, let's put it all together. If you were getting dressed in the nineteenth century, here is the order in which you'd put these garments on: chemise or camisole next to the skin, corset, crinoline, dress.